No need to leave the kids at home for a trip to Fairbanks. Not only will it be memorable for the Alaska beauty and wildlife, but for the great activities that are designed for families visiting the state’s second-largest city. Fairbanks has plenty of activities that will make for favorite family travel memories for years to come. Fairbanks is an outdoor-lovers’ paradise. So it has plenty of paved trails in and around the city and lots of places to hike. 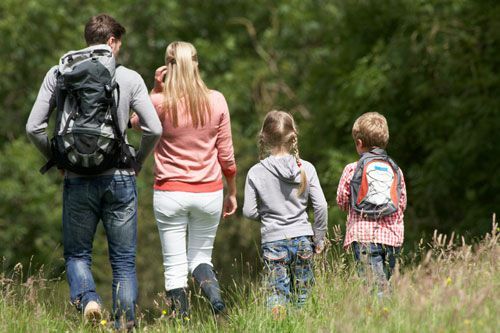 Try sections of the 8.5-mile Angel Rocks to Chena Hot Springs trail – go as far as your kids are comfortable hiking. Features include granite outcroppings and great views of the Alaska Range and Chena Dome. 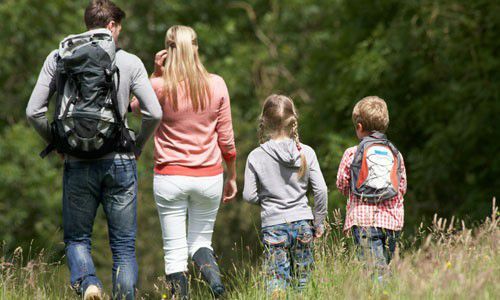 Try the Chena Riverwalk for an easy stroll between Pioneer Park and Airport Way, or look for other Fairbanks trails that you and your kids will enjoy. Budding scientists will get a kick out of the Geophysical Institute, which gives tours of the institute and Poker Flat Research Range in the summer. The institute’s research covers lots of natural sciences, including solar and interplanetary physics, volcanology, seismology and ice. Grab your birding checklist and see how many feathered friends you and the kids can check off. The Fountainhead Wedgewood Wildlife Sanctuary and other sites around Fairbanks provide prime viewing spots. The sanctuary has an observation deck and several trails that meander through forests and water meadows, letting you look for cranes, kingfishers, owls, swans and migrating birds. Your kids will love to meet the agile canines that run the Iditarod, a 1,100-mile overland race from Anchorage to Nome. Try tours like the Alaska Hummer & Sled Dog Experience, which takes you and your family on a tour of remote roads in Fairbanks and to Lance Mackey’s kennel, where you’ll meet more than 70 racing dogs. Minimum age is two. For an easy way to view some of Alaska’s large wild creatures, check out the University of Alaska’s Large Animal Research Station. Get to know musk ox, caribou, and reindeer. Stop at the Calypso Farm and Ecology Center for hands-on experiences in learning about Alaska ecology, farming, and folk arts. Its First Friday at the Farm events offer demonstrations of wool spinning, blacksmithing and other traditional and pioneer activities. Visit Gold Dredge 8, which gives you and your family a feel for the history of the gold rush, which drew in early Alaska settlers looking for their fortune. You’ll ride on a narrow-gauge railroad through the Tanana Valley, and you’ll see the TransAlaska Pipeline. And you’ll pan for gold. The best part? You and your kids can keep the booty you find. Pioneer Park is another great way to learn about the Fairbanks-area gold rush history. Billed as Alaska’s only historic theme park, it includes a gold rush town, gold panning, a riverboat, an Alaska Native museum, an ice cream parlor, shops, a picnic area and more. Entry to the park is free though some of the museums within the park require small admission fee. Stay in Pioneer Park in the evening for an Alaska Salmon Bake and Theatre Revue. Enjoy a hearty Alaska dinner after a day of activities with the kids. Parents, you can take home great outdoor grilling tips. Then take your kids for a short walk over to the Palace Theatre for its nightly musical comedy performance. It’s fun for the whole family. After watching the show at the theater, come outside and see the show in the sky. The Fairbanks area is one of the best places anywhere to view the aurora borealis, also known as the northern lights. Your best chance to see them are in the off season when the nights are longer, but you might catch a glimpse even during the short nights of summer. If you and your kids are night owls, drive out to Ester Dome and watch for the shimmery drapes of light, which are created by charged particles from the sun. In addition to their curtain-like appearance, they might pulse or spiral, and they can appear in different colors. Whichever family activities in Fairbanks you choose, no doubt you’ll need a good rest after a full day of fun. Get a good night’s rest at the Westmark Fairbanks Hotel and ask our friendly staff what you should do tomorrow.